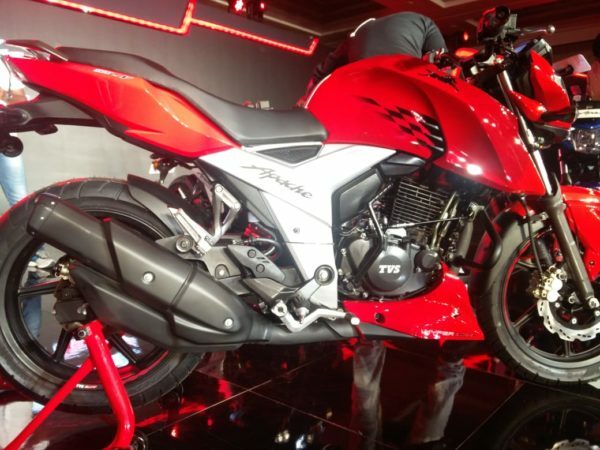 India’s fourth largest two wheeler maker, TVS Motor Company has launched its new 2018 TVS Apache RTR 160 bike in India on 14th March 2018. This brings the racing DNA of the bike by powering it with the most powerful 160cc engine creating a new bench mark in the segment. 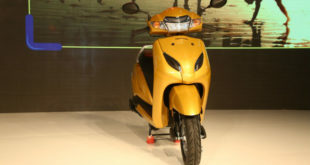 With the launch of this new powerful bike, TVS aims to redefine the entry level segment and create its unique position in the Indian two wheeler market. 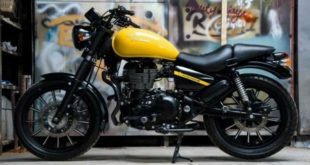 Here is all you would like to know about the new bike on Indian roads. 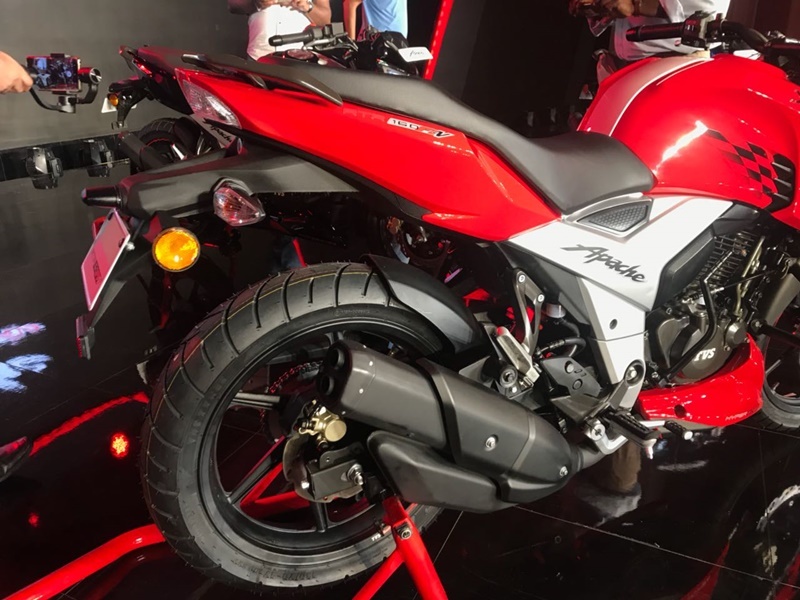 The new generation 2018 TVS Apache RTR 160 bike is inspired from the company’s Apache RTR 200 bike that gets host of new features. The bike is available in both carburetor and EFI variant. 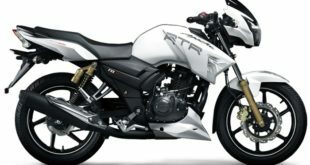 The EFI variant is christened as TVS Apache RTR 160 Fi. 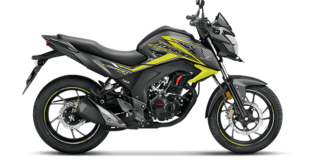 The bike is powered by a 4-valve oil cooled engine that delivers 16.8 PS power and 14.8 Nm torque @6,500 rpm (EFI) and 16.5 PS @8,000 rpm (Carb) and 14.8 Nm @ 6,5000 rpm (Carb). 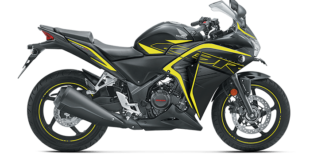 The engine is paired with a 5-speed gearbox offering a powerful riding experience. Equally matching with its racing DNA, the new bike boasts for a top speed of 114 kmph (EFI) and 113 kmph (Carb). As per the company claims, the bike kicks off from 0 to 60kmph speed in 4.8 seconds (EFI) and 0 to 60 kmph in 4.73 seconds (Carb). 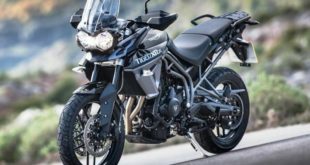 The new 2018 TVS Apache RTR 160 has added stability factor through the company’s patented Double-cradle Split Synchro Stiff Frame Design that offers the bike high speed stability and better on/off track handling. 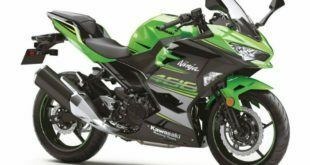 The new bike features fully digital instrument cluster which includes fuel level indicator, service reminder, digital clock, gear shift indicator etc. (see below). It also offers LED headlamps and LED tail-lamps. The dimensions and other mechanical features of the bike are as below. 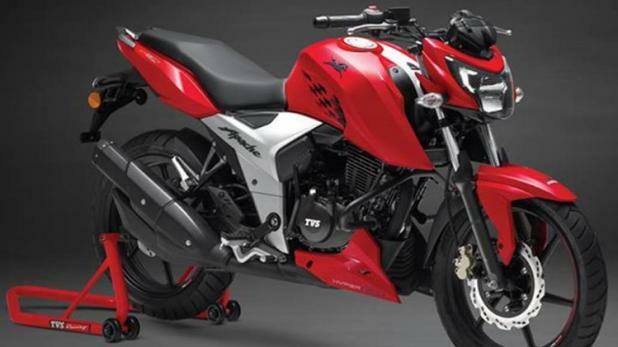 The New 2018 TVS Apache RTR 160 bike will have its rival in the likes of Honda X-Blade and the Bajaj Pulsar NS 160. So, if you are a speed lover, the new 2-018 TVS Apache bike is there to give you a thrill.